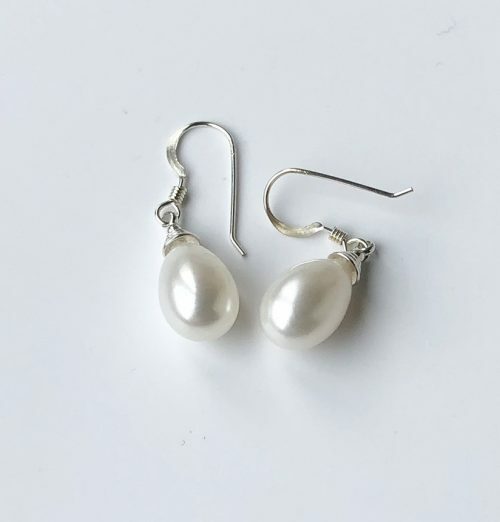 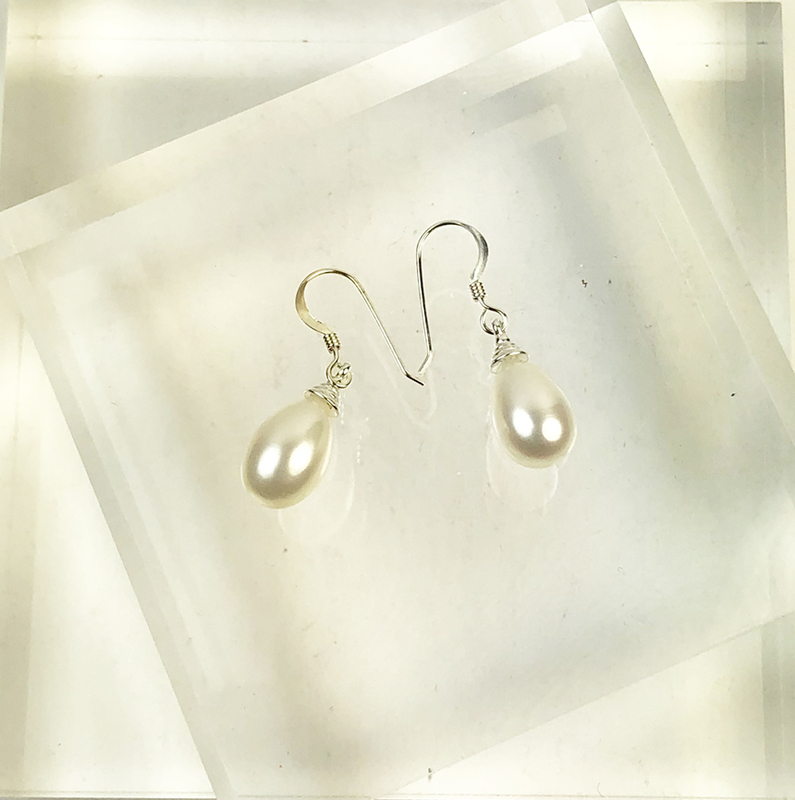 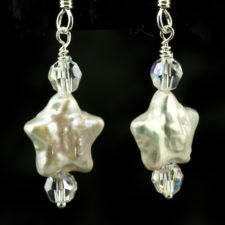 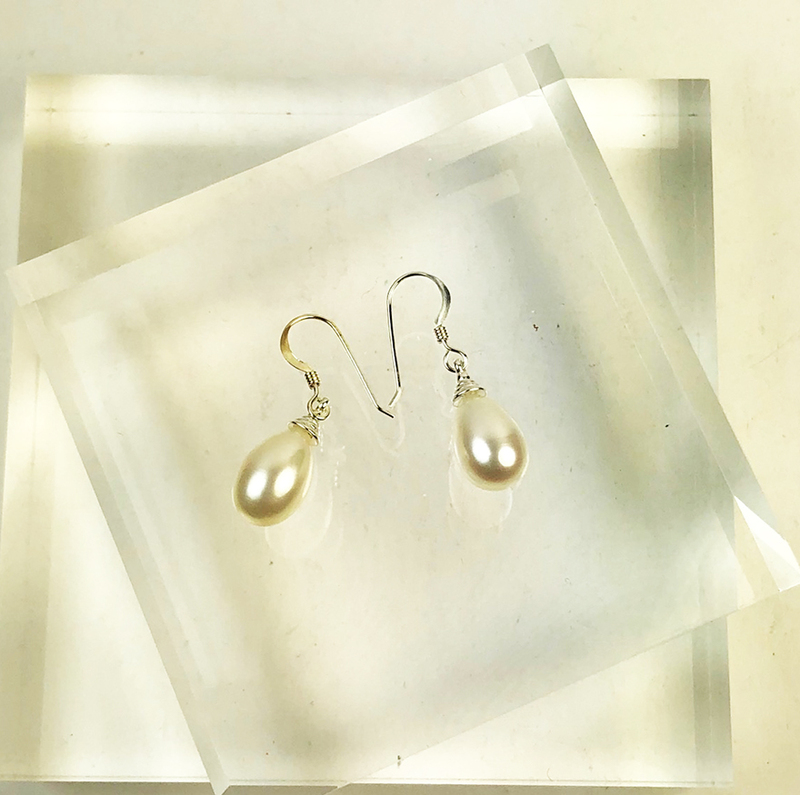 Iridescent white pearl drop earrings – lovely white pearl drops that measure about 15mm long. 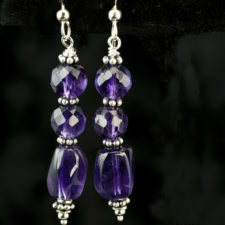 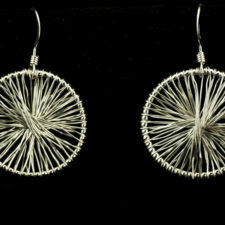 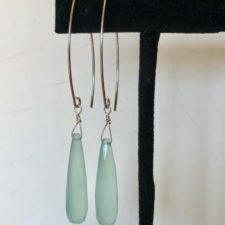 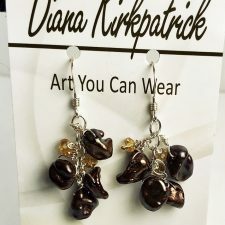 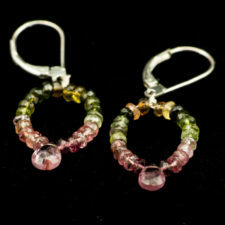 The earrings have sterling silver findings and ear wires. 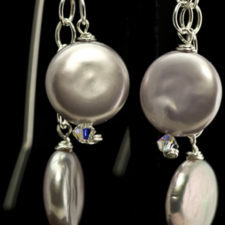 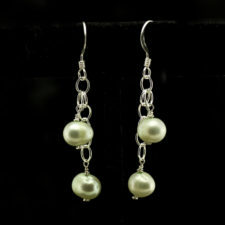 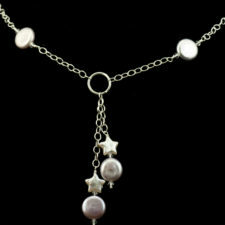 I have pearls in different sizes and colors – contact me for details.